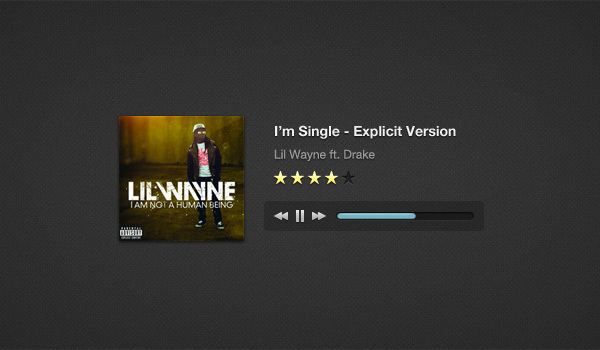 Music player widget is an integral part of websites that host audio/video files to be played online. There are many websites that belong to musicians and there are others that are used as an online platform to listen to music or watch videos. 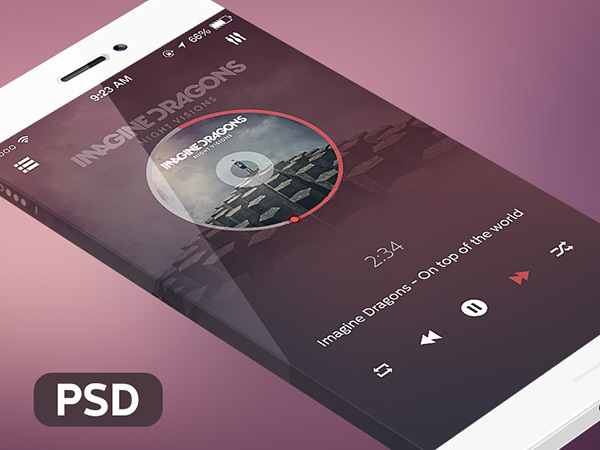 For all this websites one would like to have a good looking music player that not only accentuates the creative design of the website but at the same time provides an easy widget for listening to the favorite music. 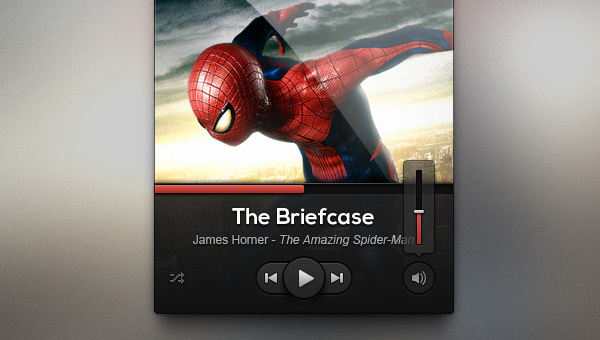 The fully customizable music player widget is a great design with all the necessary elements of a player designed perfectly. 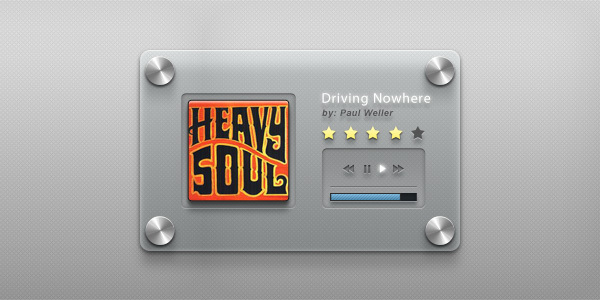 Created with the sole ambition of accentuating the design of a website, the music player widget justifies its name to the last letter. The dimension and placing is absolutely perfect. The navigation and player separators are just perfectly arranged to add a new dimension to the already existing design elements on the website. The color too is soothing and there is a sense of class in every element. 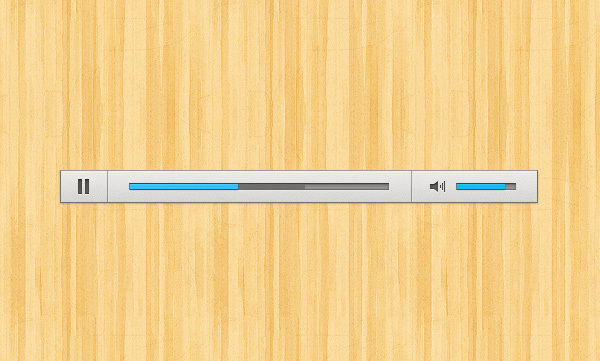 An online music player widget needs to have the right combination of color, placement and dimension and to mention the obvious; they are all present in this music player widget. This is fully customizable and you can change the color and other elements you want according to your designing needs.